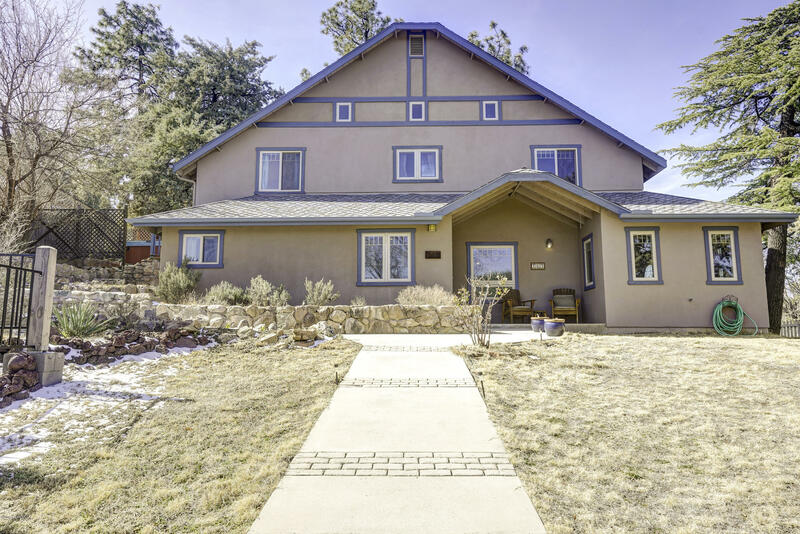 All Buena Vista Heights homes currently listed for sale in Prescott as of 04/22/2019 are shown below. You can change the search criteria at any time by pressing the 'Change Search' button below. "Location Location Location. Less than a mile from the Beautiful Prescott Historical Downtown Courthouse Square! This 2 Story home nestled in the heart of Prescott, surrounded by Mature Trees for extra privacy, offers a well built Custom 4 Bedroom, 3 Bathroom home. Large Cozy Living Room with Wood Burning Stove, Reading Nook, Wood Beamed Ceilings throughout. Upstairs seating area, Master, 2 Guest Bedrooms and Bathroom, 2 Car Detached Garage. Private Rear Patio with Built in Fireplace great "